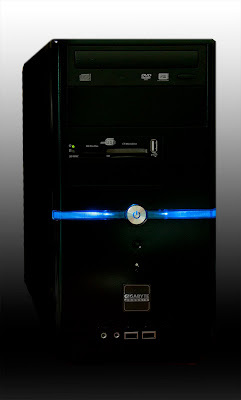 The beast lives and breaths and glows too, a PC built for a friend. This is the login screen, I have chosen one of my poppy images. 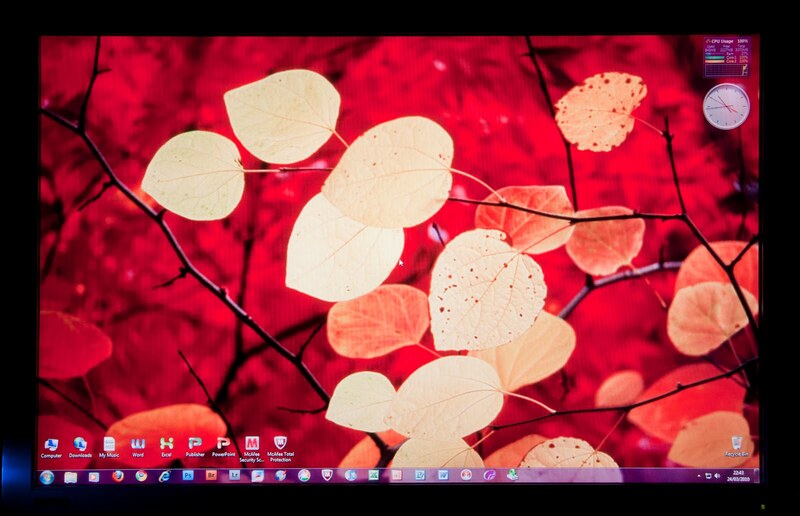 A good thing about Windows 7 operating system is that the login screen can be easily changed. 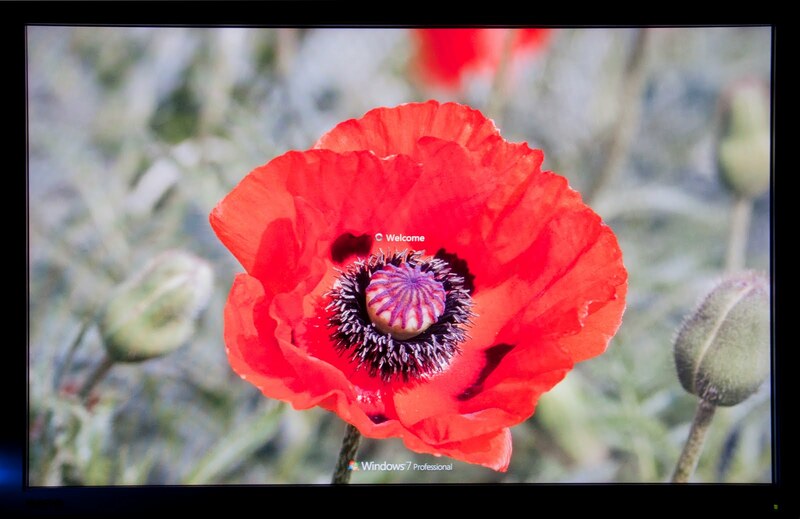 This is one of the themed images which changes to a different one each half hour. 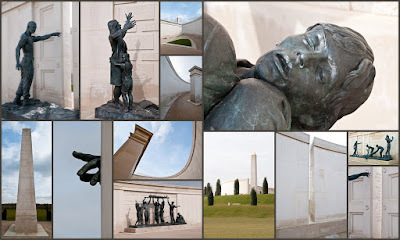 A collage of photographs in and around the Armed Forces Memorial, taken recently at the National Memorial Arboretum near Alrewas in Staffordshire. Website here. 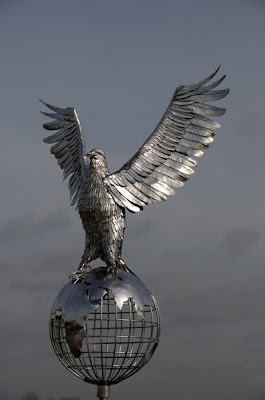 Eagle atop a Royal Air Force memorial. 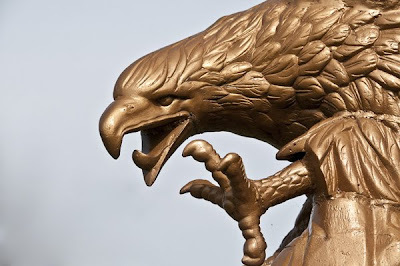 Another eagle on another memorial. 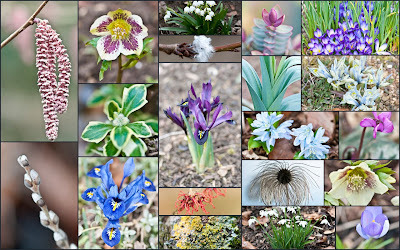 It may still be winter, however there is a some colour to be seen at Barnsdale Gardens, website here, visited on Saturday 13th March 2010. 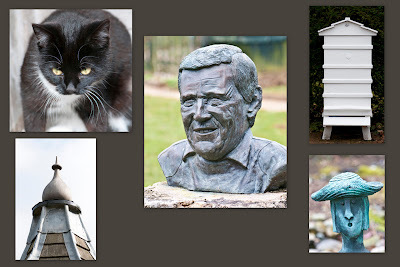 The bronze at the centre is of Geoff Hamilton, who created some of the gardens at Barnsdale for the BBC programme "Gardner's' World" in 1979. Two of the models who were kind enough to agree to attend Simon Mackney's studio recently and to be photographed by members of the photography club. 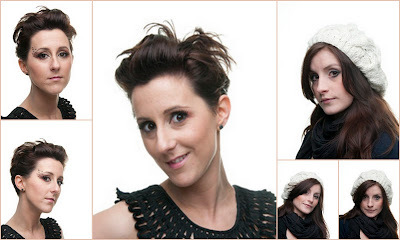 Leah on the left and Lara on the right. This is a collage of the small bronze statues that surround the base of the larger work "The Meeting Place" by Paul Day, the sculptor, situated at St Pancras station in London. 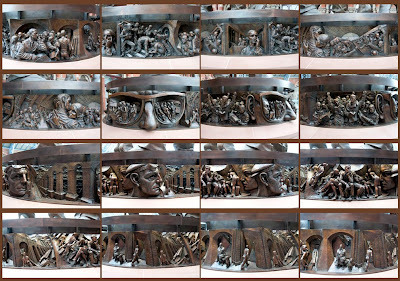 The bronze relief features a variety of scenes depicting life on the railways, including images of soldiers going to war and emergency workers dealing with the 7/7 bombings. Day the sculptor said " “It is about daily life – about the hopes and fears, the loves, the joys, the loss and tragedy that are bubbling along together in human life". 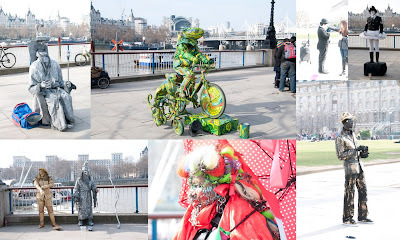 These entertainers have dressed up in an amusing way to entertain the crowds and collect some money from visitors to the south bank of the Thames, along from the London Eye. 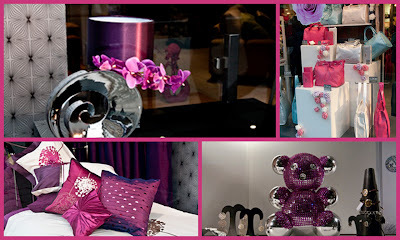 Colourful shop displays on and in the vicinity of Tottenham Court Road. 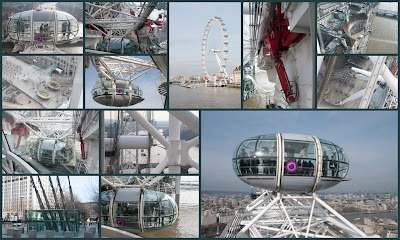 A few shots taken from a ride on the London Eye. 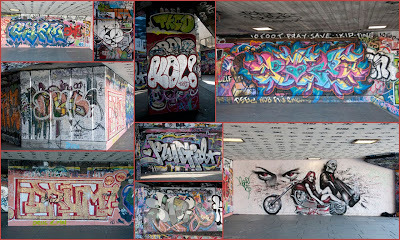 Graffiti in a designated area on the South Bank of the River Thames. 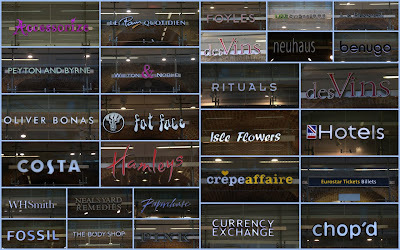 This collage illustrates the range of shops in the undercroft of St Pancras station. 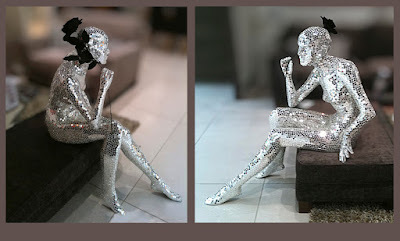 Would we like this lady to adorn our lounge? If a large enough lounge then perhaps a place could be found for her. 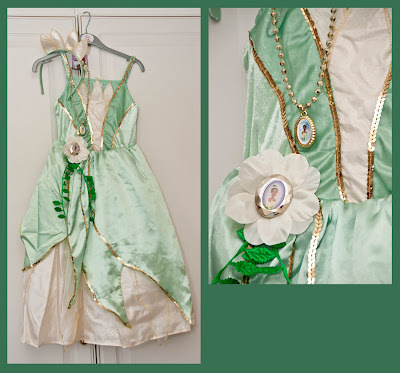 This is a birthday dress for a little princess "R", it is her birthday today, so she will dress up as the princess and I wonder who the frog will be?